When the names that matter get on the scoresheet for the Hawks, it’s a time-tested recipe for success. Not pictured…Italian chef kissing fingers. On the second of a back-to-back against an opponent looking to get the bad taste of a last second loss out of their mouths, the Hawks faced a Predators team that was as desperate as a team in early March could be. The Predators did what they normally do. Scratch, claw and annoy the piss out of their opponent until they achieve their desired result. Tonight was no different as the Predators rallied from a 2-0 and 3-1 deficit to tie the game in the third period. And just like they did on Thursday against Montreal, the Predators allowed a tie-breaking goal in the final minute of regulation. You saw the game. Here are the other things you may not have noticed. –Jordin Tootoo probably won’t play a better game in the Indian head ever again. Tootoo created offensive chances in almost every shift he had tonight and scored his first point, a goal. On Tootoo’s goal, it was his pass that set up the opportunity for his goal. As the puck rang around the boards, Tootoo drew two defenders to him. To their credit, they didn’t think Tootoo could do anything other than eat the puck along the wall and hope for a teammate to come in and support him. Instead, Tootoo whipped around to his forehand and made a blind cross-ice pass to Duncan Keith. Keith drew the defender towards him and chipped the puck to a wide open Brent Seabrook. This led to Tootoo’s goal as both defenders that were going after Tootoo then dove to block Seabrook’s shot. None of that happens without Tootoo’s pass and it was quite exceptional. –One thing to keep in mind if this is the first round matchup, Brent Seabrook and Duncan Keith probably won’t be matched up against Swedish bowling ball Viktor Arvidsson and Filip Forsberg. That draw will go to Oduya and Hjalmarsson, at least at first. So while it is less than ideal that Keith and Seabrook were on the ice for all three goals against, the playoffs will see a different matchup. Also, it’s worth noting that this was the second of a back-to-back and Seabrook is probably at the stage of his career where they can be a little tougher than they were earlier in his career. –Michal Kempny played 12 minutes but it felt like more. Kempny’s play has started to come around to the point where I’m not holding my breath on the next unlucky mistake that will find him stapled to the bench. In the second period, he made a very subtle play that opened up a skating lane that didn’t exist. He corralled the puck in his own end and turned to skate up the ice. The lane he wanted to go down initially was closed, though, so he circled back with a very nifty move and this opened up a new lane. Within two or three strides, Kempny was streaking down the left wing and fed Marian Hossa which led to a quality scoring chance. 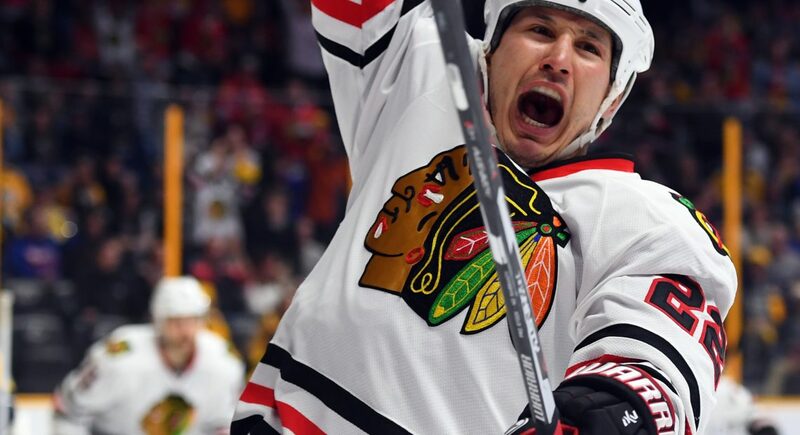 –It’s always important when the Hawks add new wrinkles to their power play as this allows for the Panarin one-timer to be available more frequently. Tonight, a rotation found Kane on the left wing with the puck. To his credit, Kane took the opportunity to fire the puck towards the net and found the back of it. In the future, this will hopefully force teams to not just worry about defending the one-timer. –Nashville’s third goal was a heckuva shot by Arvidsson. We’ve seen enough of Corey Crawford to know that it didn’t sit well with him. Crawford, as he is wont to do, locked it down after that and made several key saves as the Predators continued their assault at his net. 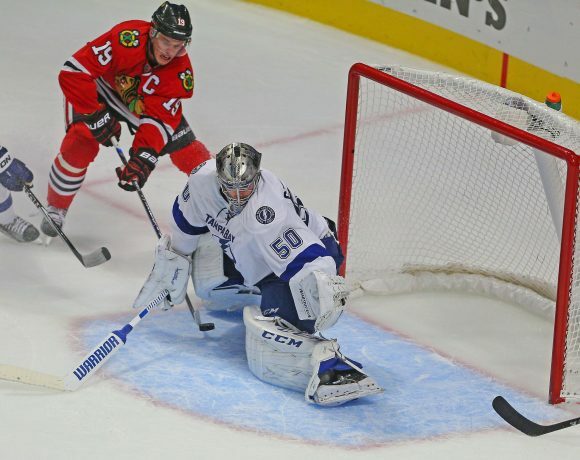 Crawford was there every time and it allowed Toews and Campbell to connect for their heroics. –I’m still not sure the Predators could’ve defended Campbell’s goal any better. Toews just has that way of finding passing lanes at the end of a game where it looks like there aren’t any. 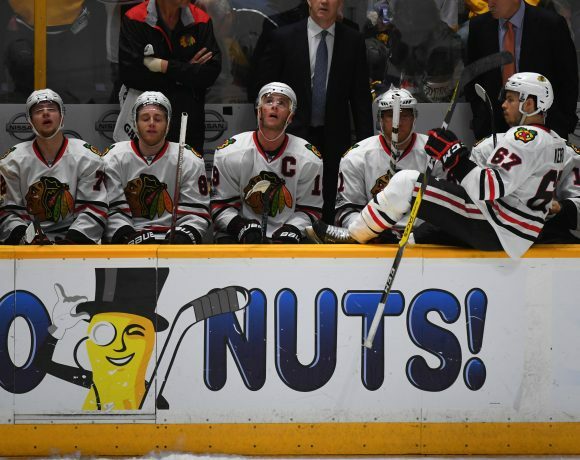 Maybe one of the Predators could’ve been quicker to pressure Toews instead of both backing off. Regardless, I’m not sure it would’ve made much of a difference. 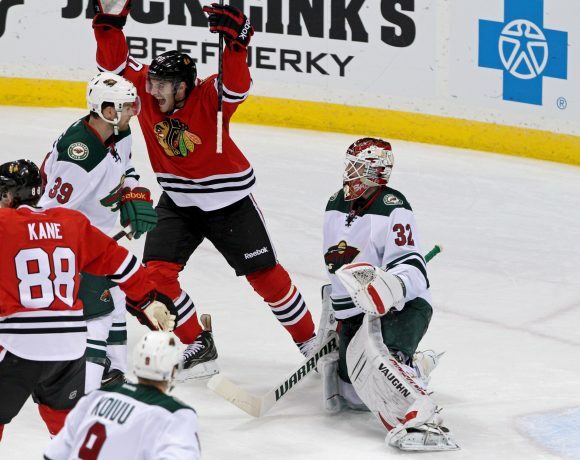 –The Hawks sit in first place again by one point with three games at hand over Minnesota. That will probably not stand by their next game. They also will have a few days off to get Schmaltz, Oduya and Hjalmarsson healthy. The next time they take the ice, they’re going to slightly different. Until then.